U6E. 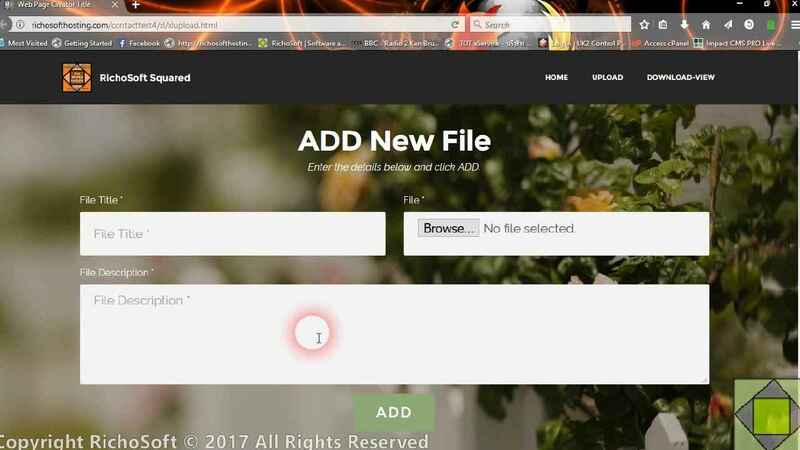 Mobirise FileUpload Utility Extension. 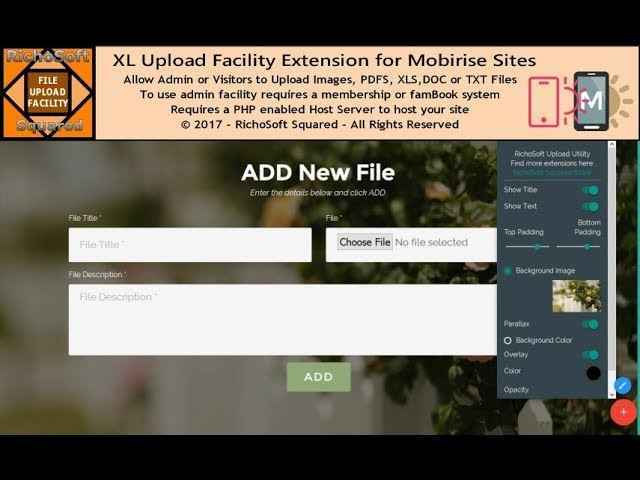 FILE UPLOAD/DOWNLOAD UTILITY EXTENSION for Mobirise* sites. Keeps everything on your own server! An easy to set up Upload/Download Extension for Mobirise Sites. A Mobirise Site Version 3.12 or Later. finfo_open(FILEINFO_MIME_TYPE) or mime_content_type() PHP functions recommended but not required.